Throughout LeBron James‘ career, he has gone from a league-wide hero, to one of the NBA’s greatest villains, and everything in between. While his tenure with the Miami Heat was the most successful period of his career, it was also the most polarizing. 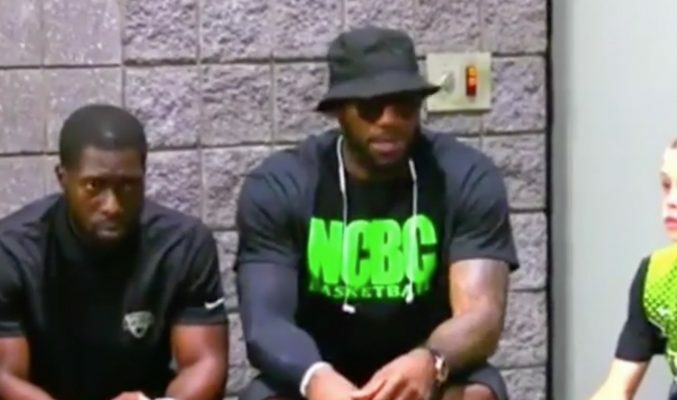 In a recent video taken at one of his son’s AAU games, James proves that the lessons he learned playing alongside Dwyane Wade, Chris Bosh, and the rest of the Heat during the Big 3 era have stayed with him to this day. Watch James use the team’s loss as a teachable moment below. Thanks to James’ many experiences as both a beloved winner and a reviled loser, his wisdom is invaluable to basketball players of all levels, whether they’re competing for an AAU or an NBA championship.